Stephan Welz & Company, will be holding their Spring Decorative and Fine Arts Auction on the 5th and 6th of October 2010 at their newly refurbished auction premises at The Great Cellar housed on the Alphen Hotel grounds in Constantia. Contemporary South African master and arguably the South African art world’s most successful export, William Kentridge, is the public face of this auction. 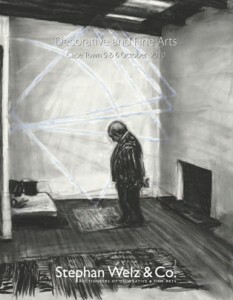 A Drawing from STEREOSCOPE, a still fromKentridge’s breakout film produced during 1998-1999 is the frontispiece of the auction catalogue and star of the show. The film STEREOSCOPE and many other drawings formed the cornerstone of his recent exhibition at the MOMA in New York. 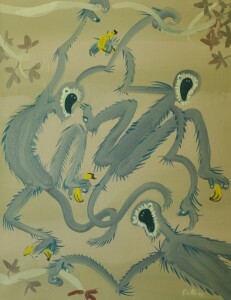 Pre-auction public viewing will take place Friday the 1st through to Sunday the 3rd. Viewing is free of charge and open to the public. For further enquiries and details regarding the catalogue please contact 021-794-6461. Russell Kaplan Auctioneers will be holding an art auction on Saturday 25 September.